On Skyline Drive, in all but the deepest fog, there is no missing the Massanutten. 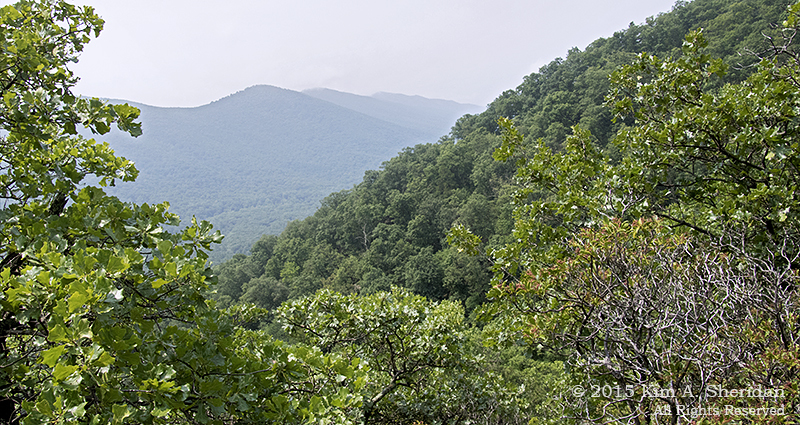 How can you overlook a 50 mile long mountain that runs through the heart of the Shenandoah Valley? It’s so big it has its own valley, for gosh sakes! 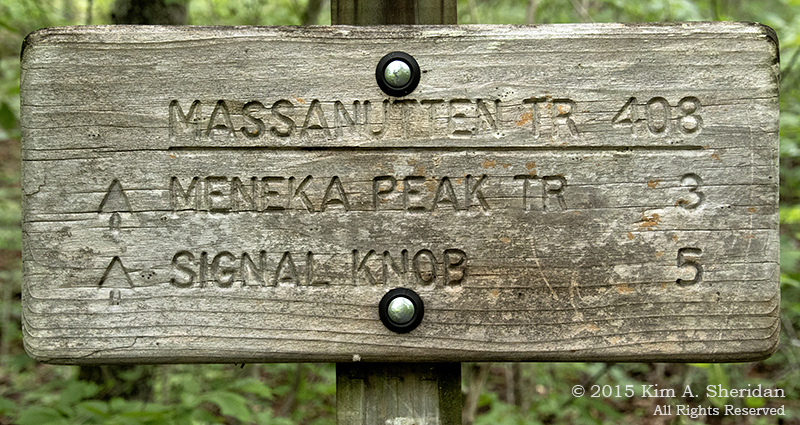 Signal Knob, Massanutten’s northern peak, has long held a fascination for my friends and me. So, naturally, we wanted to climb to the top of it. 5 miles each way? 2700 feet of elevation gain? 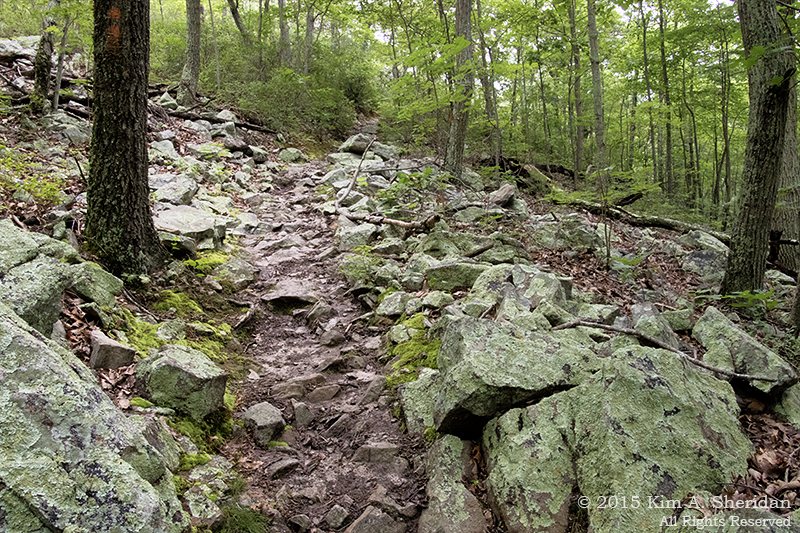 At first, the narrow Signal Knob trail climbed gently along a small run through deep moist woods. Ferns, mosses and shrubs adorned the understory. We passed on old building and then a spring. 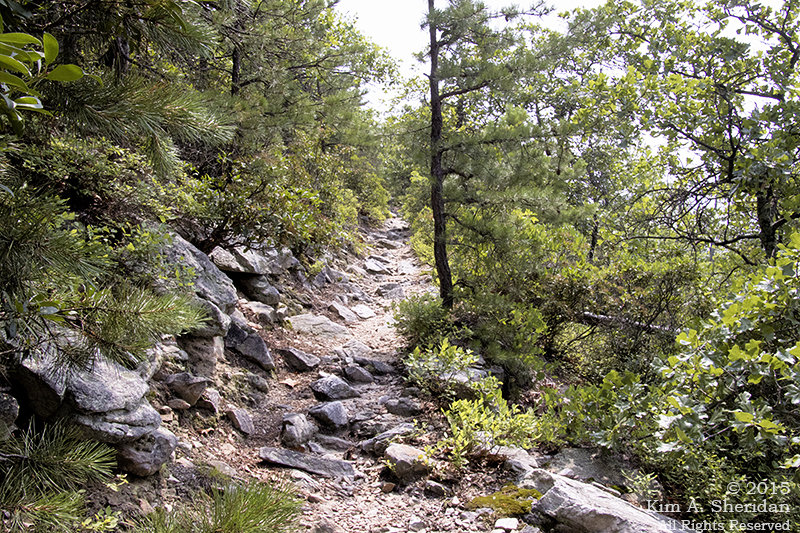 Beyond that the trail turned sharply and began to climb steeply. 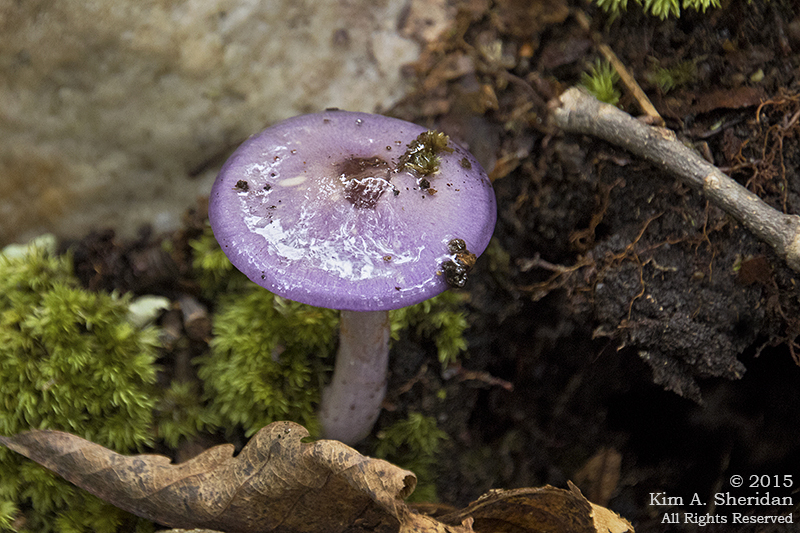 Just past the spring I found a purple mushroom. Purple! 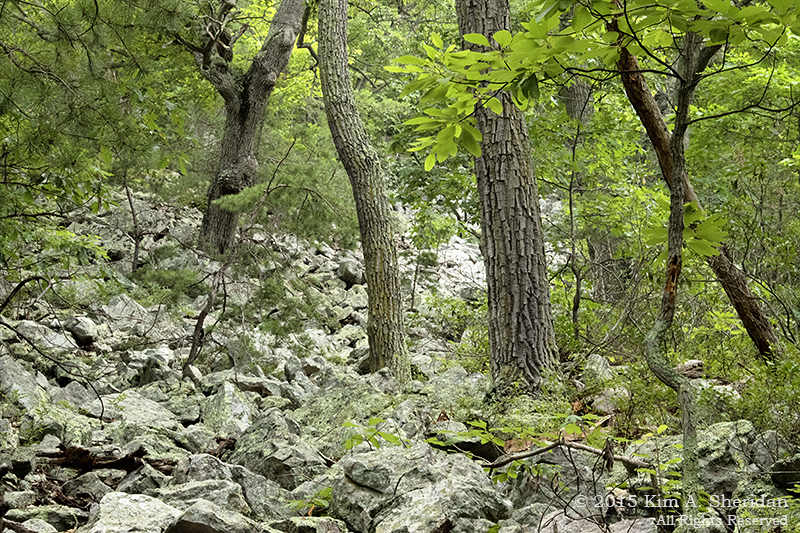 The forest became drier as we climbed higher, and we started seeing talus slopes to the left. Talus, or scree, is an accumulation of broken rock and boulders that have crumbled, and then tumbled, from cliffs higher on the mountain. 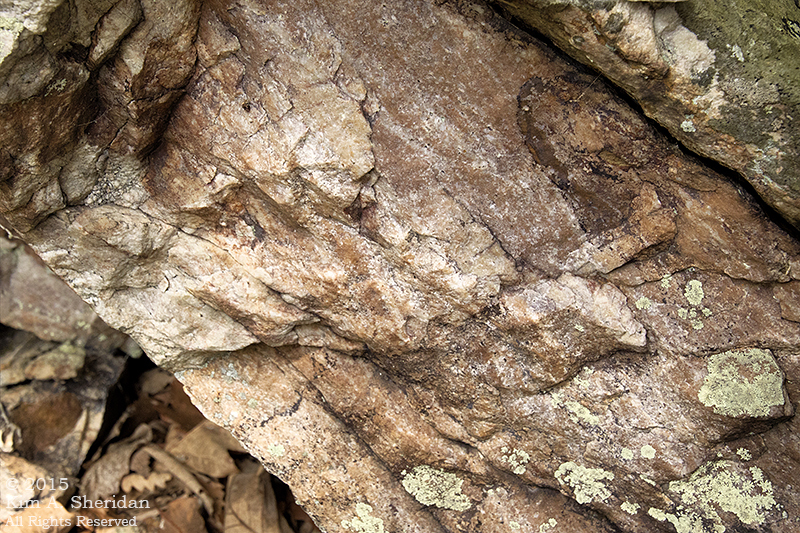 The lichens that cover the rocks give them their greenish tint. The trees thinned to the right and we began to get views across a valley to another slope. 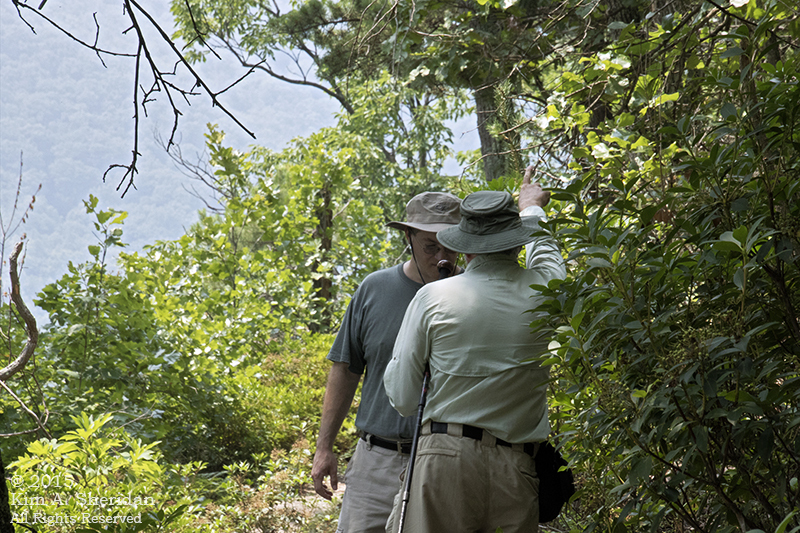 An argument ensued between Don, who was certain we were hiking on the west arm of the Massanutten and looking at the east arm, and Robb, who was certain he knew where north was and that Don had it backwards. This argument continued for most of the walk, and I am not certain it ever got cleared up satisfactorily. Because they weren’t listening to me. 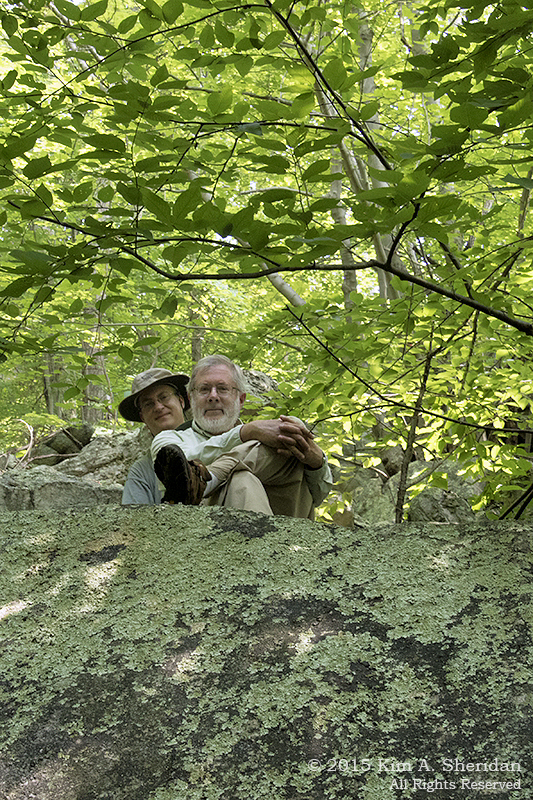 I suggested that we were hiking on the east arm of the Massanutten, and looking across a small valley at another ridge on the same east arm, in the opposite direction of the other arm of the mountain. Guess who was right? You got it. But does anyone ever listen to me? Nope, no one ever listens to me. Arguments (temporarily) shelved, we continued up the trail. Soon the habitat got seriously weird. 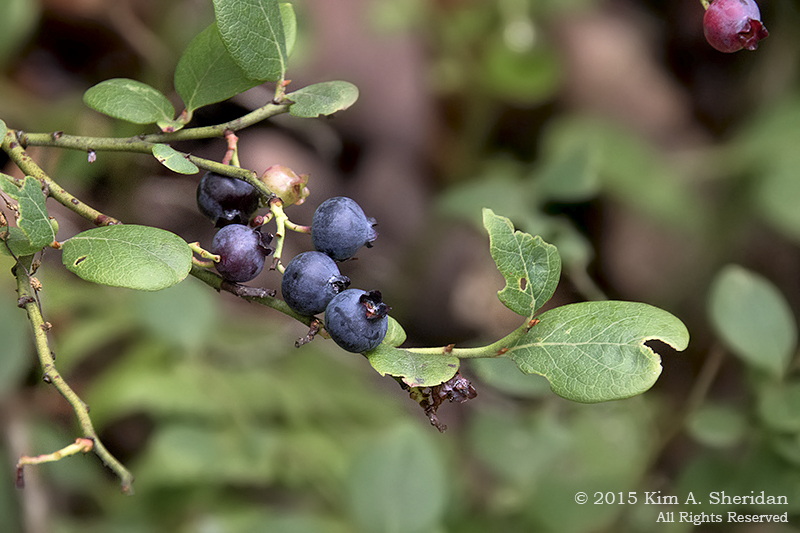 The first hint was the presence of low-bush blueberry. 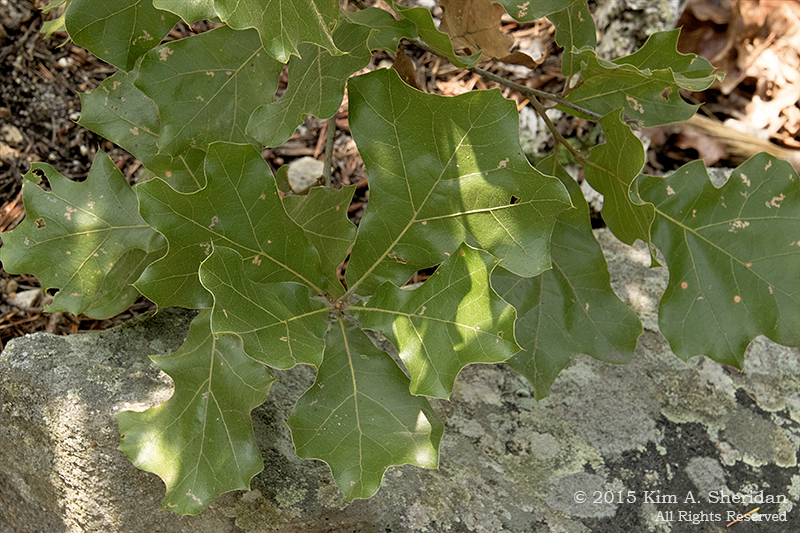 Followed by black jack oak. Mountain laurel. Sand on the trail. 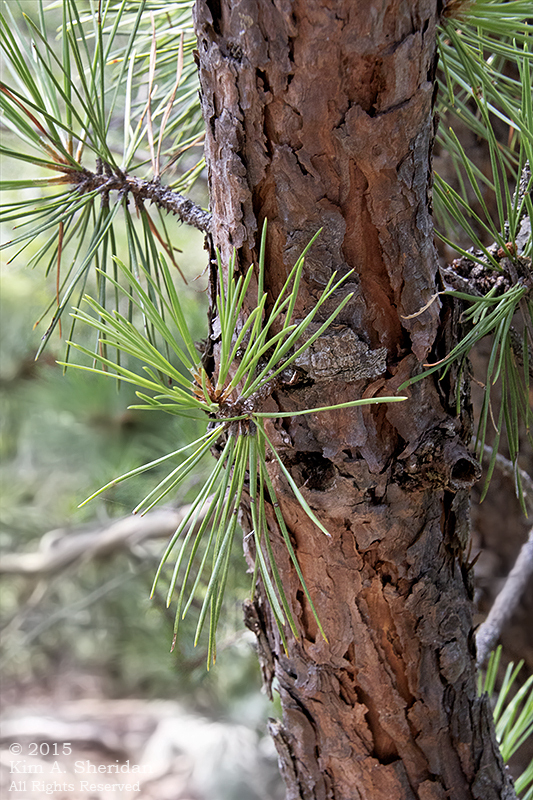 Pines with three needles, and – oh look! Needles growing out of the trunk. Pitch pines! Wait, did we take a wrong turn? How did we end up in the New Jersey Pine Barrens? We didn’t, of course. In this part of the Appalachians, dry southwest-facing slopes with poor sandy soil support many of the same trees and plants we see in the Pine Barrens. The similarity in flora to the Pinelands fascinated us for the rest of the hike. Here’s one of the rare rocks that wasn’t covered in lichen and moss. The weathering of the quartz-rich stone here was the source of the sand under our feet. and then me too, because it was such a nice cool place to rest. Then I just had to take their picture. 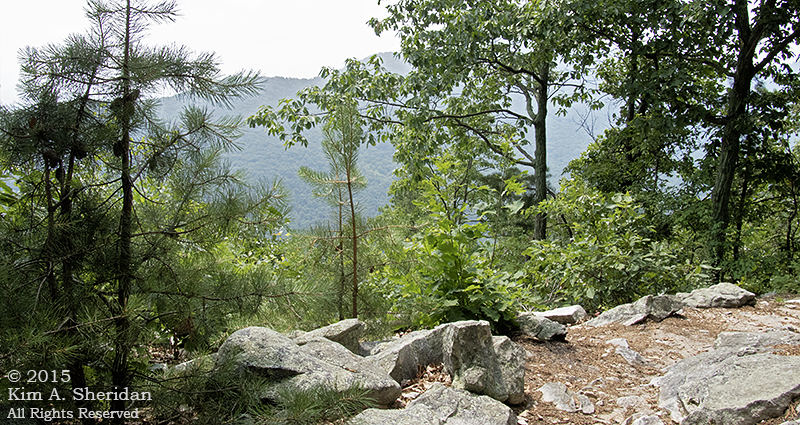 A short time later we reached the Buzzard Rock Overlook. That’s “Overlook.” I thought we were standing on Buzzard Rock, and was unimpressed. Then I learned we were looking across the valley at Buzzard Rock, which was a dramatic rock formation on the other side of the Passage Creek valley. 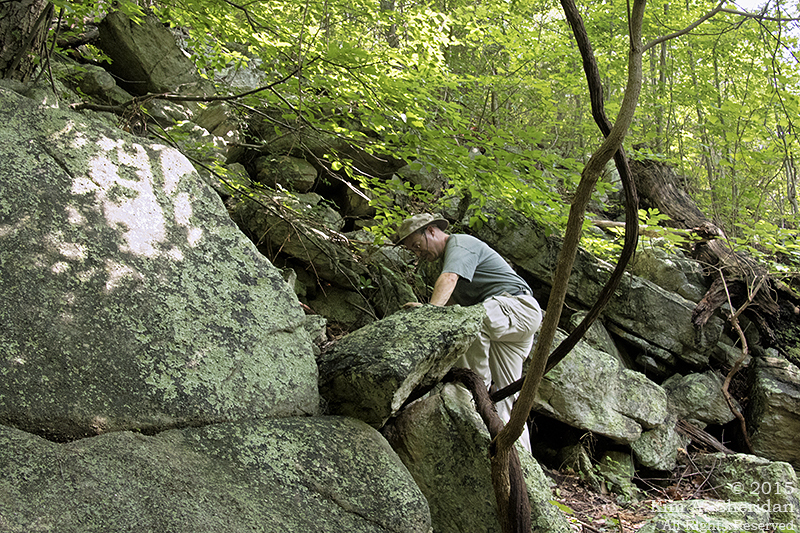 At this point we had been hiking for 2½ hours but had covered only 1½ miles of the 5 miles to Signal Knob. The trail from there only gets steeper and rockier. 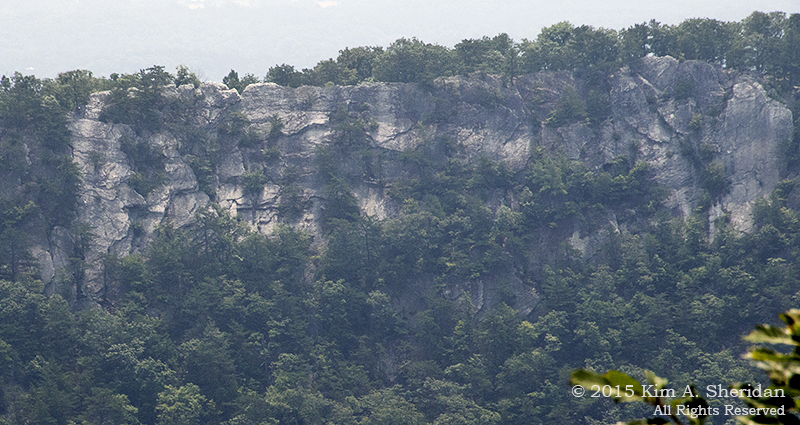 By now, any thought Don had of getting to Signal Knob had vanished, and we all agreed Buzzard Rock Overlook was enough. Besides, it was time for lunch. With that, we turned around and walked down the way we had come up. A 10 mile hike to Signal Knob turned into a 3 mile walk to Buzzard Rock Overlook. Don claimed that was the plan all along. Conquer the Massanutten? Maybe we gentled it a little. No matter. We’d scrambled over rocks, argued over directions, puzzled over trees and shrubs, exclaimed over magic mushrooms, marveled over views. In the end, we’d gained something far more awesome than we’d bargained for, an intimate experience with a massive mountain. All in a day on the Massanutten. This entry was posted in Appalachian Mountains and tagged Appalachian Mountains, Flowers Trees & Shrubs, Geology, Massanutten, Nature by Kim. Bookmark the permalink.